The Gillard Government will ask Parliament to pass an Act of Recognition acknowledging the unique and special place of Indigenous Australians. The move comes as a precursor to a delayed national referendum to change the constitution to recognise Indigenous people expected in late 2013. The Minister for Families, Community Services and Indigenous Affairs, Jenny Macklin, says the Act of Recognition will be worded to reflect as closely as possible the recommendations of the expert panel which the Government asked to develop options for constitutional change. “This Labor Government is committed to recognising Indigenous people in Australia’s constitution and wants meaningful reform that reflects the hopes and aspirations of Indigenous people,” Macklin said. A preliminary report prepared for the Government by Reconciliation Australia found that only 39% of the non-Indigenous community have heard about a proposed referendum. “The Government agrees with the findings of the expert panel that it is important that a referendum is held at a time when it has the most chance of success,” the Minister said. “To ensure that we continue to build momentum for constitutional change, the Government expects to introduce the Act of Recognition to Parliament before the end of the year. The Federal Government says it has committed $10 million towards a campaign being led by Reconciliation Australia to continue to build support for constitutional change. • acknowledgment that additional effort is needed to help close the gap in Aboriginal and Torres Strait Islander peoples disadvantage. The Government says it will also include a sunset date for the Act of Recognition, to allow the campaign to continue to build momentum. “This will provide an impetus for a future parliament to reassess how the campaign for change is travelling and timing for a successful referendum,” Macklin said. 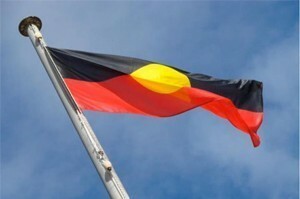 ANTaR, the national advocacy organisation of Aboriginal and Torres Strait Islander people says the announcement provides some welcome clarity around the timing of the referendum and an opportunity for all parties to re-affirm their commitment to Constitutional Recognition of Australia’s First Peoples through passage of an Act of Recognition. “The Act of Recognition must be seen as the next step on the road to Referendum, with a clear focus on the end goal,” ANTar's National Director, Jacqueline Phillips said. ANTaR says it has been working with campaign partners to build support for change. In the next few months, the inaugural Rock for Recognition concert series will be touring three states, to raise awareness about Constitutional Recognition. Visit www.youmeunity.org.au for more information.